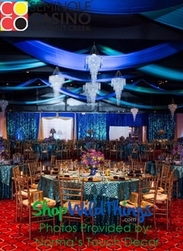 At ShopWildThings, we have the opportunity to work with some of the greatest Event Planners in the world. One of those, Brian Bell of Decor & More in Canada, said, "If you are not going to do lighting at an event, you might as well go home." 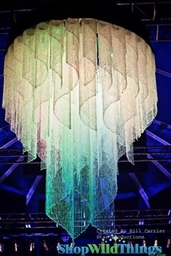 Now, not all of us have giant budgets to work with, and that is where our fabulous Tiered Event Chandeliers come in. 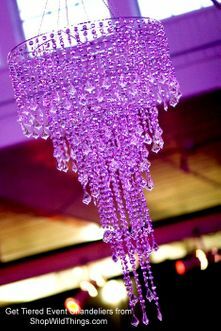 Most are made with high quality acrylic beads, so you get a lot of air space filled without breaking your event budget. 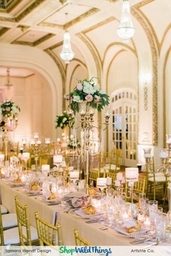 In addition, we carry Beaded Curtains to match every single chandelier. Mixing bead types looks amazing, and the colors will match (we are fanatical about our beads being perfect), and we also carry exact match Bead Shapes for each chandelier. The beautiful thing about ShopWildThings Chandeliers is that they can be changed to match just about any Decorating theme depending on the rest of the lighting in the room. We offer these multi-tiered chandeliers and we also have many other styles like rectangle shapes, Swirled Chandeliers and more. 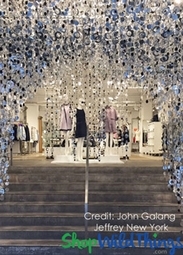 Many of our multi-layered beaded ceiling fixtures come with an electrical plug-in cord, but if you don't have a way to get electricity to it, just use some of our LED Lighting . Our helpful customer service staff can help you to plan all of that out. 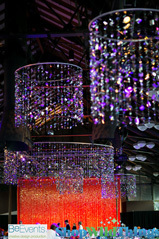 View & Order ShopWildThings Multi-Tiered Chandeliers below, or see our HUGE Chandelier Collection HERE! 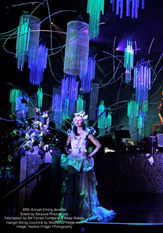 ShopWildThings tiered chandeliers come in lengths from 1 foot long all the way up to 20 feet long. We also love challenges, and do a lot of custom fabrication in our Arizona location. We are crazy about quality. We made sure that the beaded lighting that you buy from us looks fabulous and will make you do a happy dance when you open and hang them.